A Musical Night Tee Design Review. 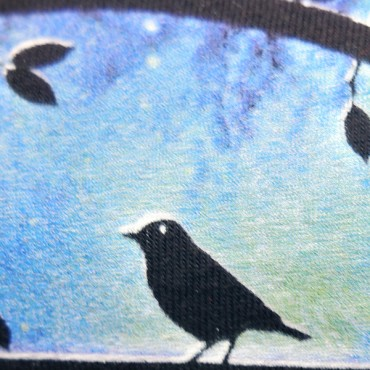 The A Musical Night tee design is for the music lovers and pianists as well as people that like birds. The concept for the A Musical Night is to show a girl playing the piano via silhouettes against a beautiful sky through a window. The effect is dramatic and inspiring. The sun is going down and the stars are coming out. There are birds perched on the window. Birds are often symbolic for souls or spirits. They seem to be entranced by the girls playing. As for the artwork, the colors used in the design are appropriately enough in the Blue spectrum, against the Black fabric the contrast is high. The composition and layout is what makes this design great. Think balance, harmony, and sky. 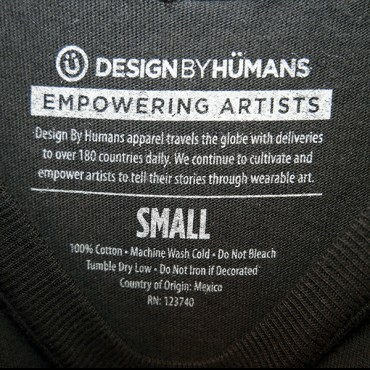 This tee looks good from a fair distance as well as from up close. The details of the trees and some stars take the imagery to a whole new level. Far more than solid colors do which is what most people would tend to do. One could only wonder what song the girl is playing. Is it luring the birds as if she was Snow White? It is easy to get lose yourself in the artwork. The A Musical Night Tee is one of the more artistic tees reviewed on this site. It is perfect for musicians and people that like scenery. If you know someone that likes the piano consider this as a gift. 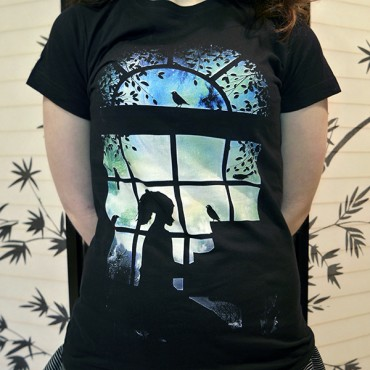 A Musical Night Tee Design By Moncheng.